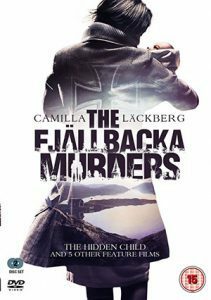 Fjallbacka Murders is a Swedish mystery series based on the novels by Camilla Lackberg. The setting is a picturesque seaside village where Erica, a young mom and wife is drawn to her husband’s work as a police detective. Each episode centers on a current mystery in Fjallbacka that is connected to a mystery in the past. While the puzzles are satisfying, it’s the easy chemistry of this husband and wife team as they solve crimes while raising a family that’ll keep you watching. 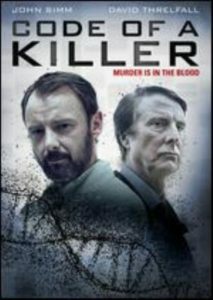 I loved Code of a Killer. Told in three parts, it follows a serial killer who was killing young teenage girls. And you didn’t see who did it, but the way they showed different people, you formed suspicions. We also learn about Dr. Alec Jeffreys, whose DNA studies were not going well. When a woman asked him to prove her son was her biological child to prevent his deportation, his test actually worked. At the same time, the police were not getting anywhere with solving the murder. When the killer struck again, someone suggested that Jeffreys could help. Based on the true story of how the police started using DNA to catch killers, Code of a Killer is a very intense, fast paced mystery. 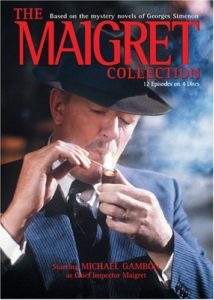 If you’re a fan of the Poirot series starring David Suchet, you may enjoy Michael Gambon in Maigret, another PBS mystery show. I’m not familiar with the novels by Georges Simenon that the series is based on, but Gambon’s portrayal is very likeable—in his dealings with people he exhibits that same courtesy and warmth that Poirot does. It’s also fun to watch the Chief Inspector work with his team of police officers—portrayed by a strong British cast. A cast that, by the way, wholeheartedly refuses to drop their accents or in any way act French. An amusing quirk of the show! The series also benefits from the same high production value as Poirot, and its 1950s Paris setting shines. Glenn Ford and Gloria Grahame star as an honest police detective who goes after the gangsters who killed his wife and the gangster’s girlfriend who switches her allegiance. Police corruption and a conspiracy drive the plot. I consider The Big Heat to be one of the best noir movies of the 1950s. If you like classic film noir, add this tense, dark, and gritty film to your must-see list. Check out our list of other 1950s Noir films. 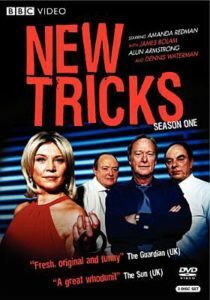 If you enjoy British mysteries with a bit of humor, try New Tricks. Follow the quirky team of retired policemen lead by a female superintendent as they help solve cold cases. Each of the cast of characters is unique, and you will find yourself getting involved in their lives and rooting for them in their crime solving. I especially loved the actors who were in the first seven seasons. If you enjoy this show, also check out the series Death in Paradise. Medical resident Liv Moore (Rose McIver) has just had her life turned upside down when what starts out as a boat party turns into a zombie outbreak. Liv escapes with just a scratch, but that scratch makes her one of the undead, forcing her to break off her engagement, leave her residency program, and take a job in the city morgue. So long as she eats the brains of the bodies that come in, she’s able to maintain her own cognitive functions and pass as living, but the brains come with an unfortunate side effect: the memories of the deceased. Armed with these memories, Liv pretends to be a psychic and teams up with police officer Clive Babineaux (Malcolm Goodwin) to help find justice for the murdered victims that get sent to her morgue. Meanwhile, her new boss and friend Ravi (Rahul Kohli) works to find a cure, one that could help Liv, but would interfere with the plans zombie Blaine (David Anders) has for infecting and exploiting Seattle’s wealthy community. Despite its grisly premise, this unique crime procedural has a lot of humorous moments, loving relationships, and witty dialogue. This is a must-see for fans of Pushing Daisies and Veronica Mars. The first season of iZombie is available on DVD and is streaming on Netflix, which can be accessed by checking out one of our roku devices. 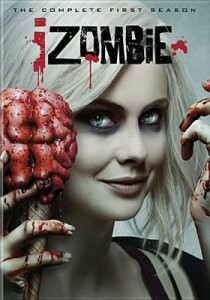 To experience this story in a different medium, check out volume one of the iZombie comic series, the show’s source material. Do you love the Phryne Fisher mysteries by Kerry Greenwood? You’re in luck; there’s a television adaptation! Once Phryne has caught the trail on an investigation, it’s impossible to keep her out of it (no matter how much Detective Jack tries to do so). With the help of Mr. Butler, Cec, Bert, and Dorothy, nothing stands in Miss Fisher’s way of catching the latest murderer on the scene. 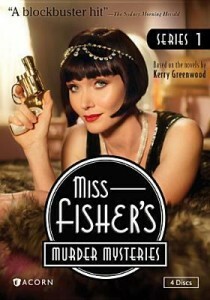 Check out Miss Fisher’s Murder Mysteries, set in 1920s Australia, today. With Maury Chaykin as Nero Wolfe (the brilliant detective) and Timothy Hutton as Archie Goodwin (his leg man), this A&E television series is one of the best. 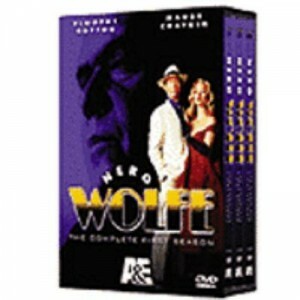 The TV series is based on the original stories by Rex Stout written between 1934 and 1958. It is beautifully shot with set design and costuming that reflects the time period of each story. All of the episodes of Nero Wolfe include a climactic meeting of the suspects in Wolfe’s office at his luxurious brownstone as he discloses the identity of the murderer, a classic mystery story devise; however in this series, it becomes a scene full of color, wit, and charm. An unusual aspect of these Nero Wolfe shows is its reuse of supporting actors and actresses for different roles in the tradition of a repertory theater. It is 1933 and private detective Jake Gittes is hired by a socialite to investigate her husband’s extramarital affair. Jake doesn’t know what trouble he is about to find and what is really going on. Pre-war southern California is the setting for murder, treason, political graft, deceit, and more. Jack Nicholson and Faye Dunaway are at their best. This film noir movie was written for the big screen and was nominated for 11 Academy Awards. 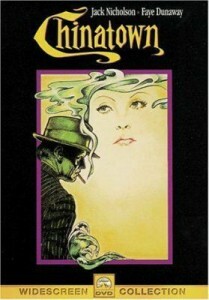 The American Film Institute rated Chinatown the second best mystery movie. After hearing about this cult classic and the groundswell of fan support to make a movie, I finally watched season 1 of Veronica Mars. I can see the appeal. The title character (portrayed by Kristen Bell) is a likable yet troubled high school student in Neptune, California. After her best friend Lilly (Amanda Seyfried) is killed and her dad Keith (Enrico Colantoni) loses his job as sheriff over the handling of the murder investigation, Veronica uses her PI skills to discover the truth behind Lilly’s death. This arc lasts the entire 22 episodes, as does Veronica’s quest to discover what happened to her at a party last year. In the meantime, she’s solving mysteries big and small for classmates and community members, plus dealing with the typical high school angst. A smart, addictive show.